Church of Ahriman Open For Business in Oklahoma City – Zero Equals Two! 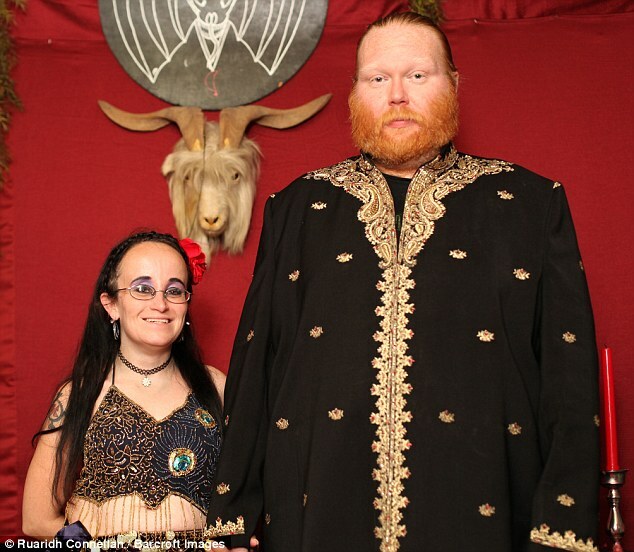 The UK’s Daily Mail recently ran a story about Adam Daniels’ Satanic church in Oklahoma City. It’s a very interesting story full of pathos and also a surpising element of humorous banality. First of all I’d like to state I’m not criticizing another person for the deity they worship or their manner of worship. That’s an utterly personal issue and as no other sentient creatures are harmed per se by it — how could I criticize. But it is sad because one of the roots of Daniels’ coming to this worship is that having inadvertently killed a man in a clear cut case of self defense, as he sought some sort of spiritual solace about this act from the ministers of more conventional religious faiths, apparently all criticized him and said he should have “turned the other cheek.” GEEZ. Having come across a copy of Anton LaVey’s Satanic Bible, wherein he found the solace he was seeking he created his own Satanic church. Fair enough. I do have to say seeing that part of his practice is “blaspheming” and burning the scriptures of other faiths… well, any faith that defines itself by its hatred of other faiths rather than it’s esteem for itself… gives me pause. “The leader of one of America’s most prominent devil-worshiping churches says he turned to Satan to help him cope with the guilt of killing a man in self-defense. “Adam Daniels, 35, is the ‘dastur’ — or high priest — of the Church of Ahriman, which is based in Oklahoma City.